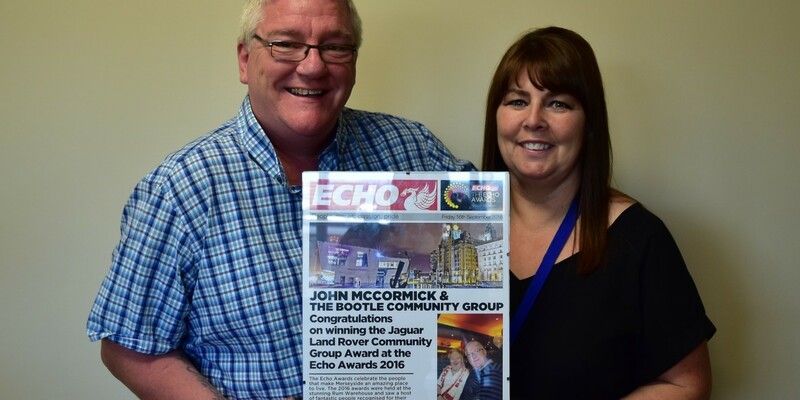 Nugent Volunteer, John McCormick has won the Jaguar Land Rover Community Group Award for his service to the Bootle Community Group and Nugent in the Liverpool Echo Awards 2016. The awards, hosted by former Big Brother star Craig Phillips and Hollyoaks actress Jessica Fox, saw the great and good of Merseyside honoured for their achievements. John was honoured for his service to the Bootle Community Group and for playing a vital role enriching people’s lives. 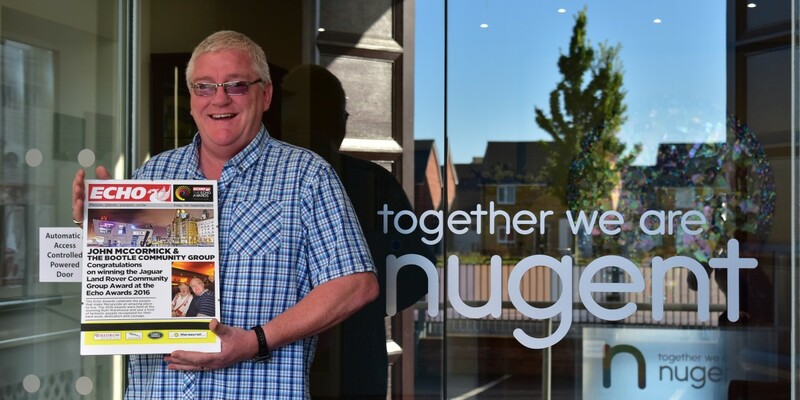 John has been a volunteer with Nugent for over 35 years, starting by going along to meet and support people in the group, he has been running the Thursday evening meetings for 32 years. Members describe John as an ‘inspirational, hardworking and dynamic individual, who is truly passionate about making sure that people with learning disabilities are included and involved with their local community’. John balances his career, family life and the group with never ending energy and a smile on his face. Every Thursday he drives the minibus round the local area to pick members up and take them to the Centre. John has a group of dedicated volunteers helping with activities and ensuring everyone has a chance to join in. The team also organise fundraising activities to provide vital funds for trips and nights out. Most recently they collected donations at the Liverpool Empire at a performance of Cats. The Bootle Community Group meet at Bootle Welfare centre every Thursday from 7pm.